For the first instalment of our new Expert Question & Answer series, we’re delighted that Dr Richard Horowitz took time out of his busy schedule to answer some of our members’ questions. Dr Richard Horowitz is a world renowned Lyme disease doctor from the United States. He’s written several books, regularly speaks at conferences and pioneered the MSIDS approach to treating complex cases of Lyme disease. Dr Horowitz has been treating Lyme and other tick-borne infections for 30 years. When he moved from Bayside, New York, to the Hudson Valley, he never suspected he’d land right in the heart of tick territory. 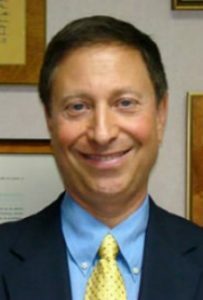 After working in internal medicine, Dr. Horowitz opened a practice in Hyde Park, New York, where he is the Medical Director of the Hudson Valley Healing Arts Center. His book, Why Can’t I Get Better? Solving the Mystery of Lyme and Chronic Disease, was published in 2013 selling more than 20,000 copies. Now in the new handbook, How Can I Get Better? Dr. Horowitz takes the incredible research and patient stories behind his comprehensive first text and creates a direct, actionable step-by-step plan for implementing his 16 MSIDS Diagnostic Map in the treatment of Lyme and Multiple Systemic Infectious Disease Syndrome. Dr Horowitz joined us in our Facebook group for a live Question and Answer session on 8th March 2017. He answered many members’ questions providing us with such a wealth of information, encouragement and hope. A comment was made about a discussion surrounding a potential new Lyme disease clinic in the UK. You can find Caudwell LymeCo charity’s statement about this matter here. We’re awaiting a response from Dr Tim Brooks who is also mentioned in the video. « All Party Parliamentary Group- update!